0 Comments Published by Jane on Wednesday, May 07, 2008 at 10:37 PM. Once again I have Edward spelling his last name as Deady. 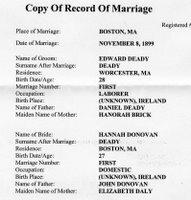 Both Edward and Hannah seem to do quite a bit of name shifting over time. 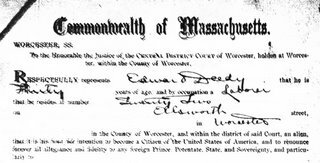 After much research, it looks like Edward Deedy was born Edmund Deady and at some point started to call himself Edward Deady and then eventually Edward Deedy. Hannah was born Johanna Donovan, but seems to prefer shortening her first name to Hannah (sometimes spelled Hanna). The ages the two use on this marriage certificate are likely incorrect. 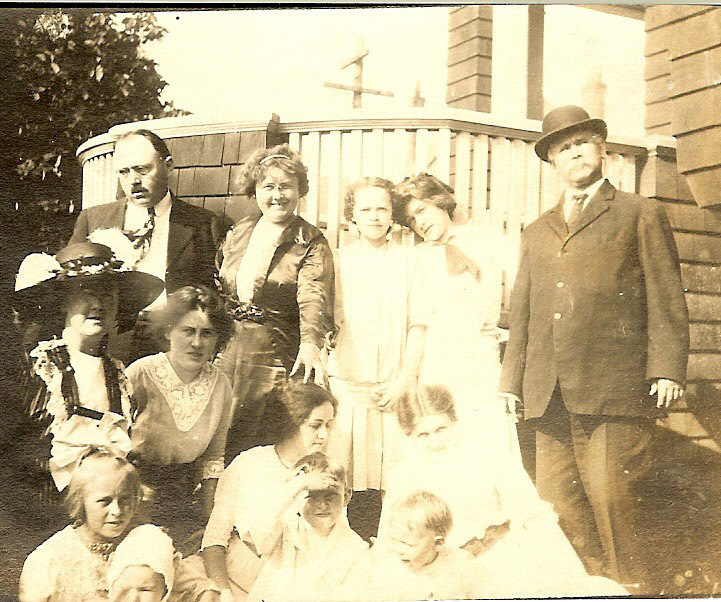 I believe Edward was born in 1868 making him about 31 when he was married. Hannah was likely born in 1869, so she was 30. 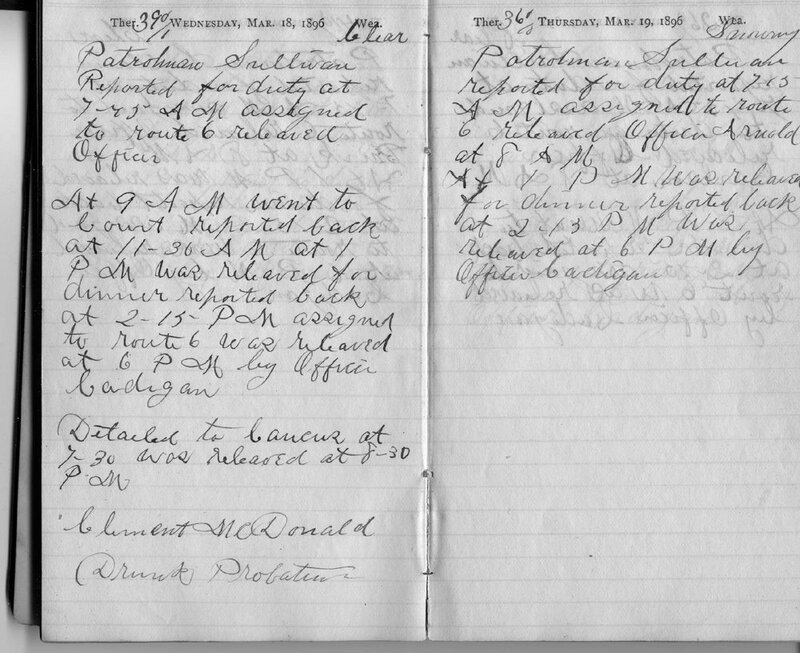 An interesting thing to note on the marriage certificate is Hannah's residence and occupation. I had not realized that she was living in Boston and working as a domestic before marrying Edward and moving to Worcester. 0 Comments Published by Jane on Sunday, May 04, 2008 at 4:38 PM. 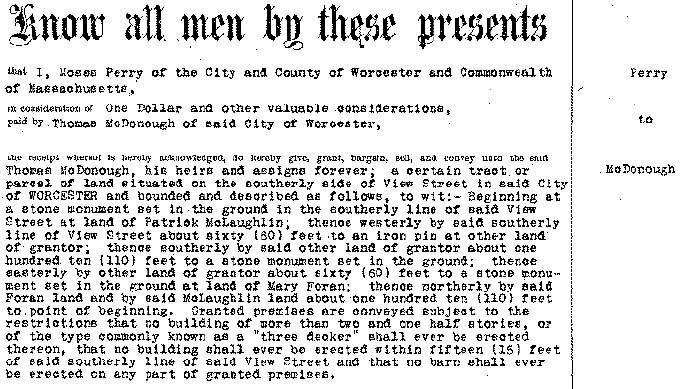 Thomas and Mary McDonough purchased two lots on View Street in Worcester and ultimately built two homes on those lots - 1 View Street and 3 View Street. 1 View Street was the home that proved how successful this couple had become. According to the Worcester Assessing page the home has over 5,000 sq ft of living space. When you look at a photo of the house, you can see that this home was built to be Thomas and Mary's own castle. On the uphill view of the home you can also see that the structure is four stories tall (with a full basement below). 3 View street next door is three stories tall. This is interesting to note since it seems to contradict the restrictions found in the deed Thomas and Mary signed when purchasing the View Street lots. Granted premises are conveyed subject to the restrictions that no building of more than two and one half stories, or of the type commonly known as a "three decker" shall ever be erected thereon, that no building shall ever be erected within fifteen (15) feet of said southerly line of said View Street and that no barn shall ever be erected on any part of granted premises. 0 Comments Published by Jane on Saturday, May 03, 2008 at 9:53 PM. To the Honorable the Justice of the CENTRAL DISTRICT COURT of Worcester, holden at Worcester, within the County of Worcester, Respectfully presents Edward Deedy, that he is Thirty years of age and by occupation a Laborer that he resides at number Twenty Two on Ellsworth street in Worcester in the County of Worcester and within the district of said court, an alien, that it is his bona fide intention to become a Citizen of the United States of America, and to renounce forever all allegiance and fidelity to any foreign Prince, Potentate, State, and Sovereignty, and particularity to Victoria, Queen of the United Kingdom of Great Britain and Ireland, whose subject he has heretofore been. 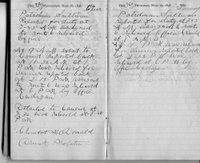 All which together with his declaration thereof on oath, before Central District Court of Worcester appears in the Records of said Court to wit: at the October eighteenth Term thereof A.D. 1895. And said petitioner further represents that he has resided within the jurisdiction of said United States for more than five years now last past. And said petitioner further represents that he has resided in the said State of Massachusetts one year at least, that he has never borne any hereditary title, or been of any of the orders of Nobility; that he is ready to renounce and abjure all allegiance and fidelity to every foreign Prince, Potentate, State or Sovereignty and particularly to the said Victoria Queen of Ireland as aforesaid, whose subject he has heretofore been: that he is attached to the principles of the Constitution of the United States and well disposed to the good order and happiness of the same. 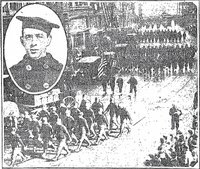 And said petitioner further represents that it is his intention to summons as witnesses at his final hearing: Patrick H. Shea who resides at number Twenty Two on Ellsworth Street in Worcester in the County of Worcester, and Joshua Melican who resides at number Nine on Endicott street in Worcester in the County of Worcester. Wherefore said petitioner prays that he may be admitted to become a citizen of the said United States of America according to the forms of the Statutes in such case made and provided. We, the witnesses for the within named applicant, severally depose and say that we are respectively citizens of the United States, and that we at the time of filing of the preceding petition resided as set forth in the said petition, and that we have known the foregoing petitioner for five years last past, during which time he has resided in Worcester and has conducted himself and behaved as a man of good moral character, attached to the principles of the Constitution of the United States, and well disposed to the good order and happiness of the same. I do solemnly swear, that I do absolutely and entirely renounce and abjure all allegiance and fidelity to every foreign Prince, Potentate, State, or Sovereignty, particularly to Victoria, Queen of the United Kingdom of Great Britain and Ireland whose subject I have heretofore been; and that I will support the Constitution of the United States of America. So help me God. What I found particularly interesting in this document is how Edward signs his name - he is clearly spelling his name Deedy, not Deady. 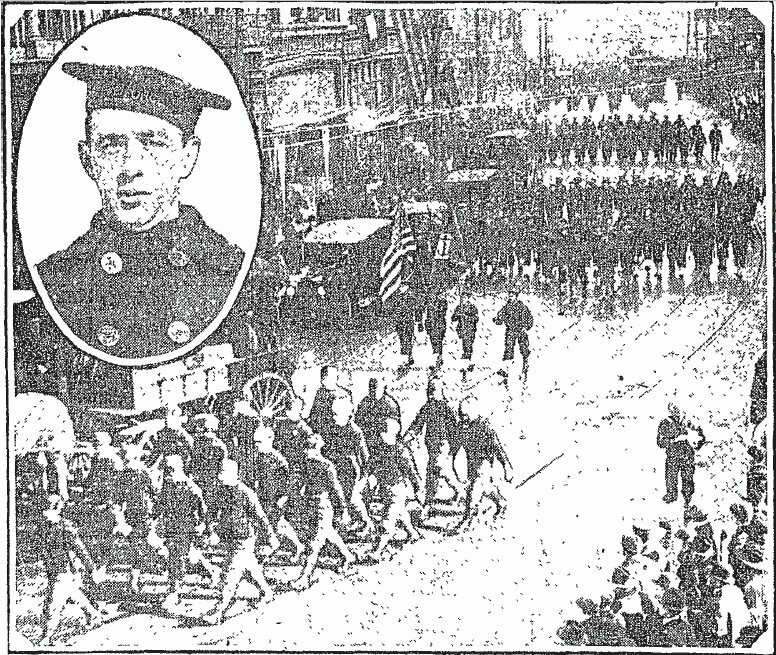 He is also swearing on October 17, 1899 that he is thirty years old. 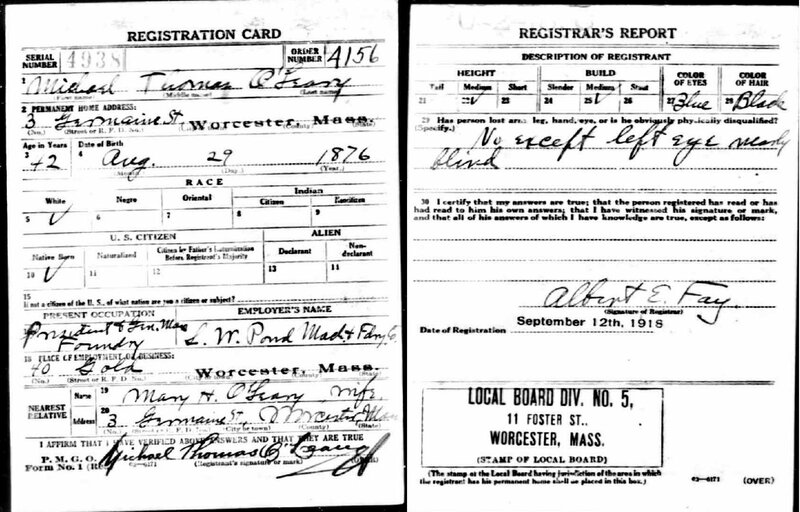 On his marriage certificate (which I have now received from the City of Worcester) he spells his last name as Deady and says he is 28 years old - and the marriage certificate was issued November 16, 1899 (the actual wedding took place on November 8, 1899) - so basically one month later Edward has lost two years and put back the letter a in his last name! 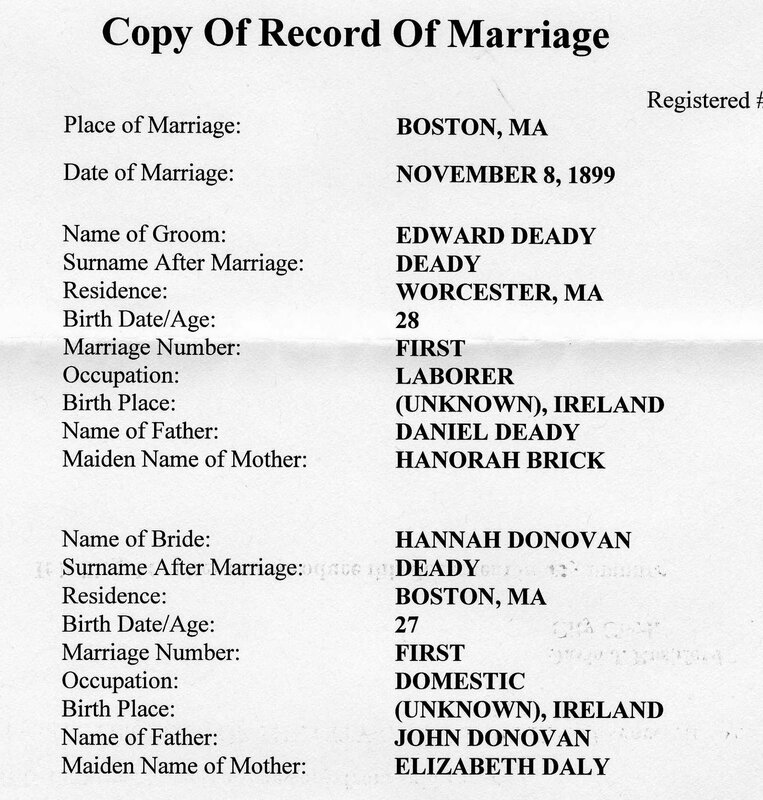 The other very interesting thing found is this document is the name Patrick H. Shea. As you can see, both Edward Deedy and Patrick Shea gave the same address - could this mean they are related in some way, or just roommates? Another small thing to note, when Edward and Hannah married on November 8, 1899, she not only got a husband, she also got citizenship. I wonder if the timing of those two events was a coincidence or if Edward getting his citizenship was something they both needed before feeling comfortable getting married.